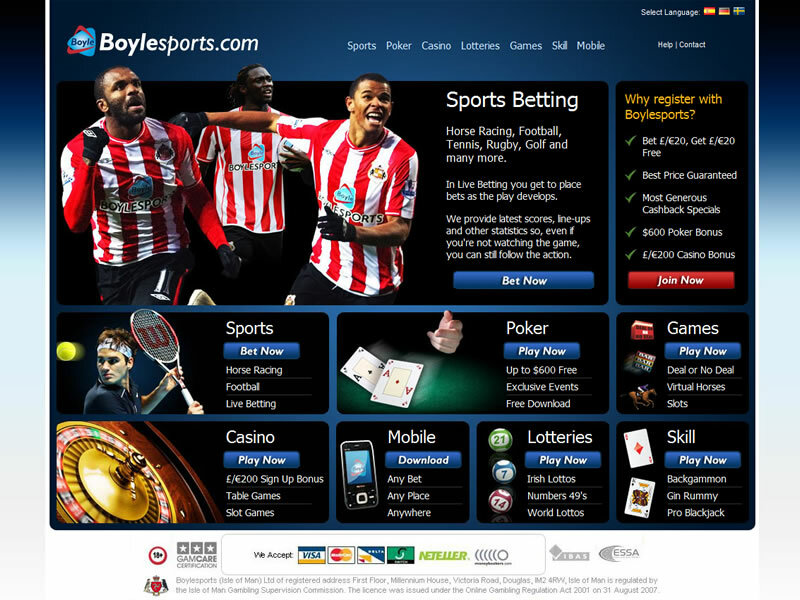 Boylesports is the largest independent bookmaker in Ireland and is a well established brand trading for over 20 years offering Sportsbook, poker and casino gaming experience! 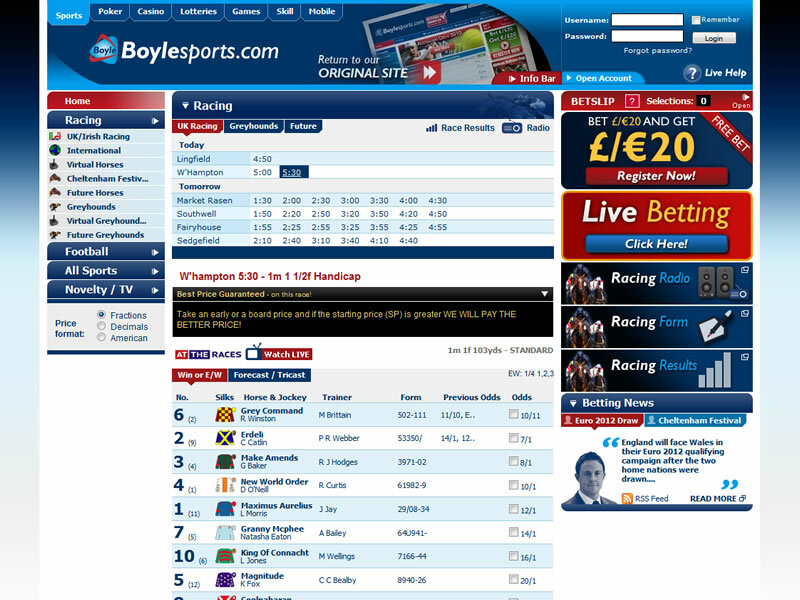 I am impressed by the Boylesports website it really has improved in the past couple of years, the site is slick, quick and user-friendly. It has a nice Fresh look that is clean and crisp and the interface is pretty much typical of many bookmaker sites in the industry! Available sporting markets are easily found on the left hand side, although the collapsible left-hand sports menu may be slightly confusing to some players! The live in play product doesn’t offer too much in the way of dynamism and is quite restricted. Being an Irish firm it tends to focus mainly on horse racing and football where the margins can be competitive, although perhaps less so on some of the other sports that they offer. They try to make amends in this area by offering enhanced place terms although customers would generally prefer the bigger price to start with! For the ‘big’ soccer matches, you’ll often see them taking a strong position (less margin) as they strive to grow their market share and retain the customers for the future! 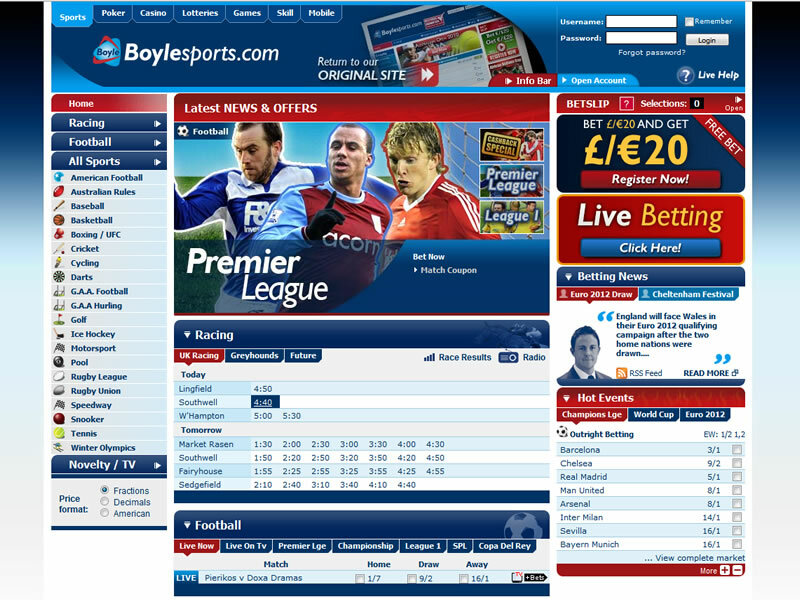 Boylesports is an English-only website, with their focus mainly on UK and Irish markets. Therefore if you want to bet on European or North American sports, you are probably best looking for another bookmaker! The availability of sports and markets is so-so, and will cater for the majority of customers, but for those professionals out there this is probably not the site for you! 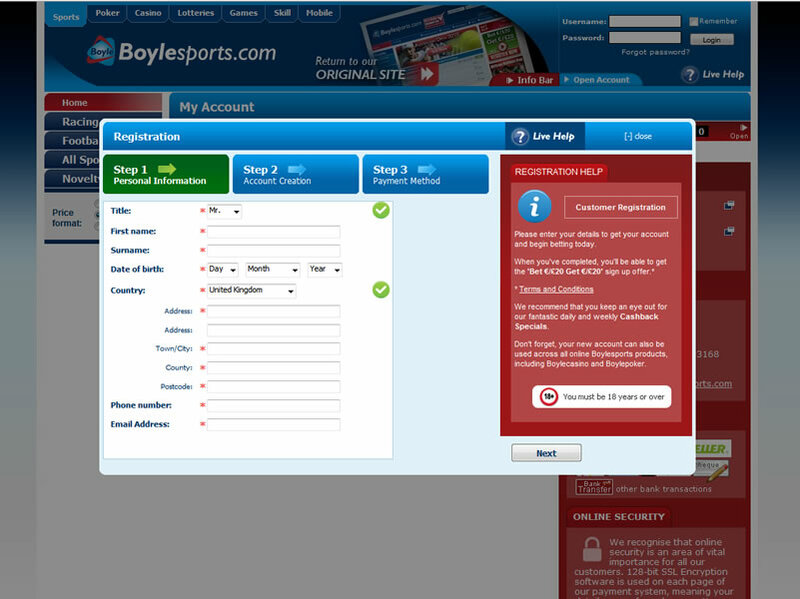 Boylesports have over 600 staff with one of their focus’ being customer service, something that can’t be said for every other bookmaker out there. £25 in Free Bets. Open an account, Register & deposit. Place a qualifying bet of £10 or more.Get up to £25 in free bets!